Six competitors were equipped with Incidence sails: Eric Bellion (Comme Un Seul Homme), Arnaud Boissières (La Mie Câline), Bertrand de Broc (MACSF), Morgan Lagravière (Safran), Paul Meilhat (SMA) and Rich Wilson (Great America IV) – and no one had problems with any of their sails. 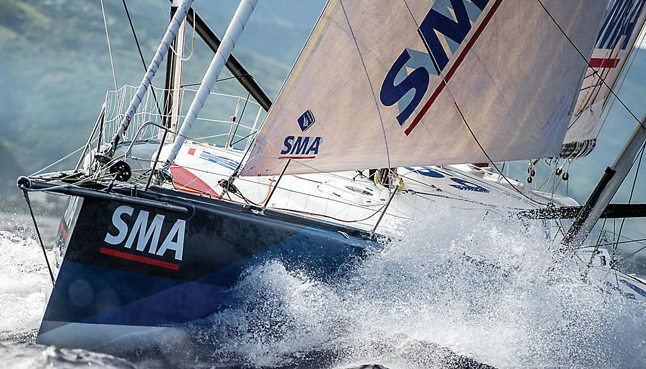 Three of the boats, SMA, Safran and Comme un Seul Homme, had foresails made in DFi and were very happy with them. ‘The results from this Vendée Globe and indeed from the whole 2016 season are very positive, at all levels, as far as my sails are concerned,’ explains Paul Meilhat, who had a superb race. Always in the top five, he was in the top three at one point, until his forced retirement two-thirds of the way through the race.